Starting Sundays in April 2019!! 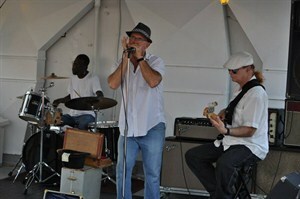 Our Blues Cruise is a two hour cruise featuring live Blues entertainment from a variety of local entertainers. We have a full bar and concessions available for purchase at our Wheel House Grille. This cruise is a perfect end to your weekend. Don't miss the boat! Inside GA tickets offer a climate controlled seating area. Outside patio tickets are not climate controlled and are located on the top deck of the boat. Cruises rain or shine. Patio seating is not handicap accessible. For group bookings, please contact our event planner at 334-625-2123.